Whether it’s Wellington, the Olympics or the World Equestrian Games, show jumper McLain Ward is well-prepared for the challenge. Ward started riding after being encouraged to take up the sport by his parents, who were professionals in the industry. In 1990, at age 14, he became the youngest rider to win the USEF’s Show Jumping Derby. At the 2004 Olympics, Ward won the gold medal as part of the United States team — a feat he accomplished again at in 2008. He was back at the Olympics in 2016 as part of the silver-winning U.S. team. In 2017, Ward won the Longines FEI World Cup Championship aboard his 2016 Olympic mount HH Azur. That was also the year he was ranked #1 in the Longines FEI world rankings for the first time. He is currently ranked at #4 and is the highest-ranked American. In 2018, Ward and his mount Clinta were instrumental in the U.S. winning the team gold medal at the World Equestrian Games in Tryon, N.C. Ward powered the U.S. home after a head-to-head jump-off, the first in team jumping history at WEG, against Sweden. 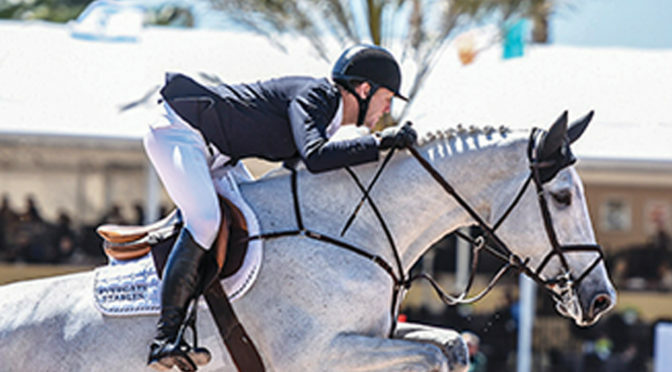 A talented rider, Ward is a dominant force to watch when he’s back in action this season at WEF.